Hey there awesome Friends!! 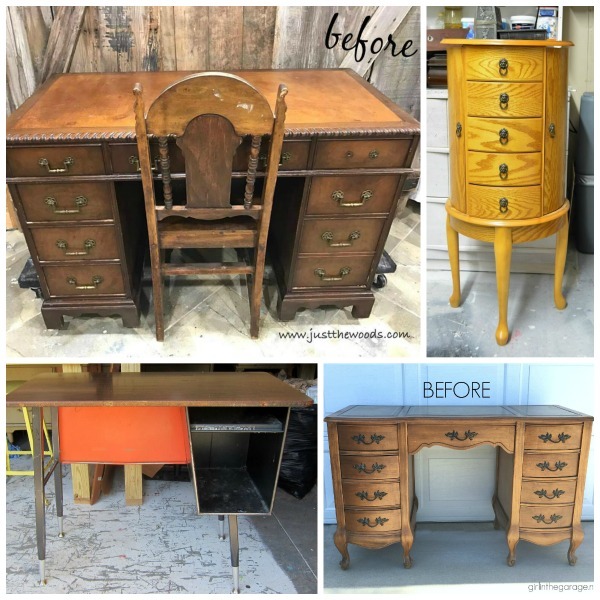 Today is a fun day because on the fourth Thursday of each month, not only do I share a furniture makeover, so do my Furniture Fixer Upper Friends! Be sure to look for the links to their makeovers at the bottom. It is not really my style, but my MIL does not buy cheap furniture and let me tell you, this sofa is the most comfortable spot to sit in our in entire house! Plus it is the perfect size for our master bedroom, so I knew I wanted to be able to keep it somehow AND make it go with my style. I love the look of this sweet sofa now! This still qualifies as a furniture makeover, right? 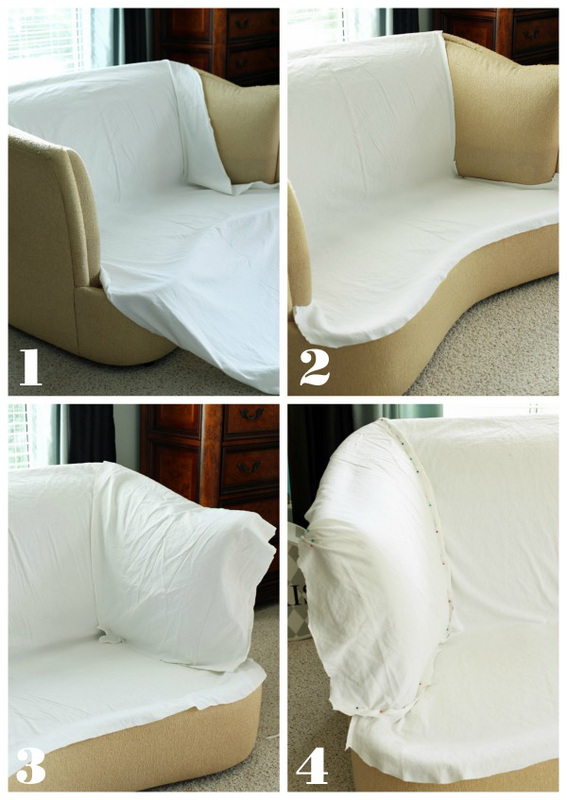 I use the term “simple slipcover” loosely as I know not everyone would consider this a simple project. However, it has no piping and comparing it to the sectional slipcover I tackled a couple of years ago (NOT simple), it was much easier! 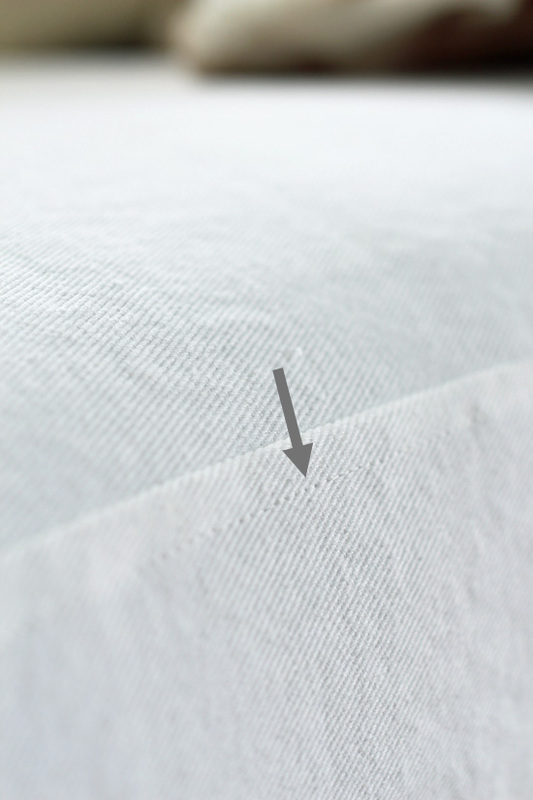 I put together a quick rundown to show how this slipcover came together. I started by washing my fabric on the same settings I would be washing my new slipcover in the future. 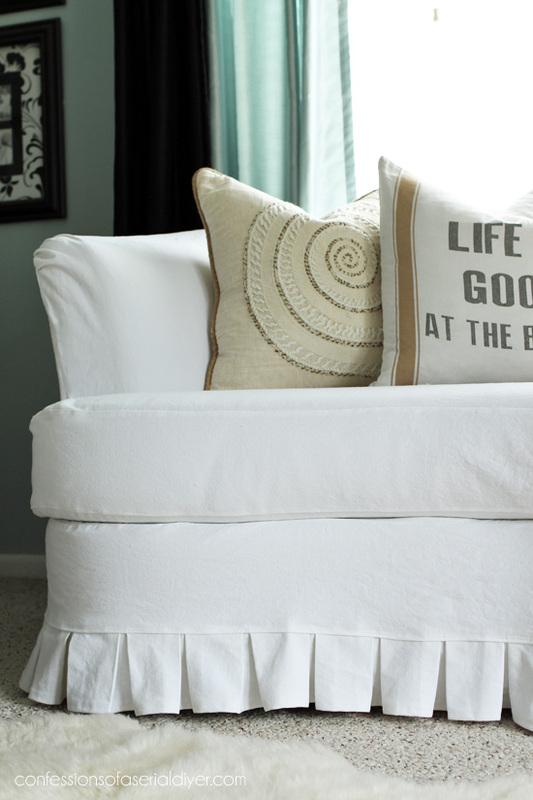 I used 10 yards of White Bull Denim I purchased from JoAnn Fabrics. First I draped my fabric right-side-down across the back and down the front. Making that first cut is super daunting, but just be sure to give yourself a couple of inches extra all along the area you want to cover. You can trim the excess later. I followed the existing seam lines. The next cuts I made were the inside panels of the sides. Then I pinned the inside seams. I also pinned the edges of the arms where the fabric gathers. Then I sewed the seams I had pinned. I put the slipcover back on inside out and did a test-fit. It’s easy enough at this point to pick out any seams that aren’t quite right and fix them. I then pinned a piece across the bottom of the front. Then I added one long piece across the sides and back. All cut and awkward looking. Next I made my pleated trim. For more detailed instructions on how I made it, visit this tutorial. After I had my pleats pinned, I sewed a quick stitch across the top to hold the pleats in place so I could remove the pins. Then I pinned the pleated trim detail in place (with the cover was right-side-out), and sewed it. The last part of the base slipcover was to hem the sides and back, which I pinned in place while it was on the sofa. The final piece of the puzzle was the cushion cover. Since this was an odd shaped cushion, it wasn’t as easy as just measuring. I could have made a pattern from paper, but I decided to attach my fabric with pins to the cushion all the way around right where the original seam was. Then I cut 1/4″ larger all the way around. My fabric was doubled so I cut the top and bottom out at the same time. I measured for the pieces for the sides, cutting a separate piece for across the back where the zipper would go. That required two pieces so the zipper could be sandwiched in between. 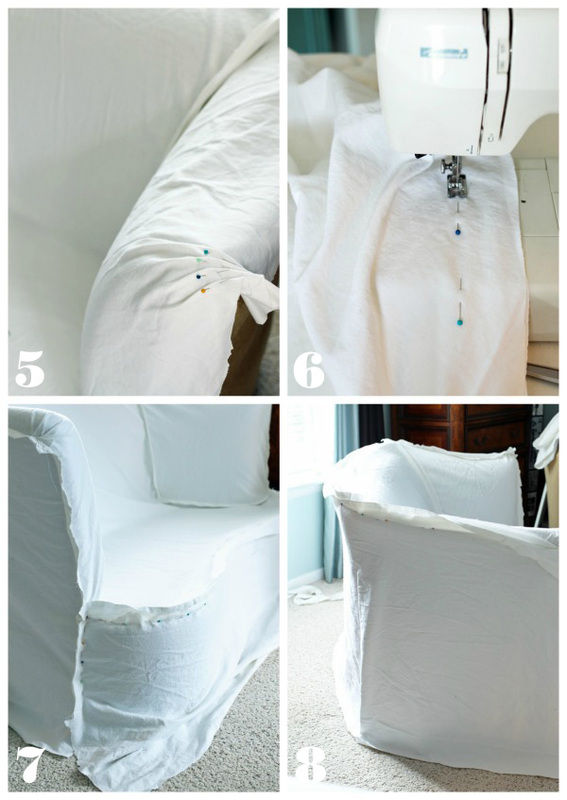 See my slipcover tutorial for more on covering cushions and adding piping and zippers HERE. 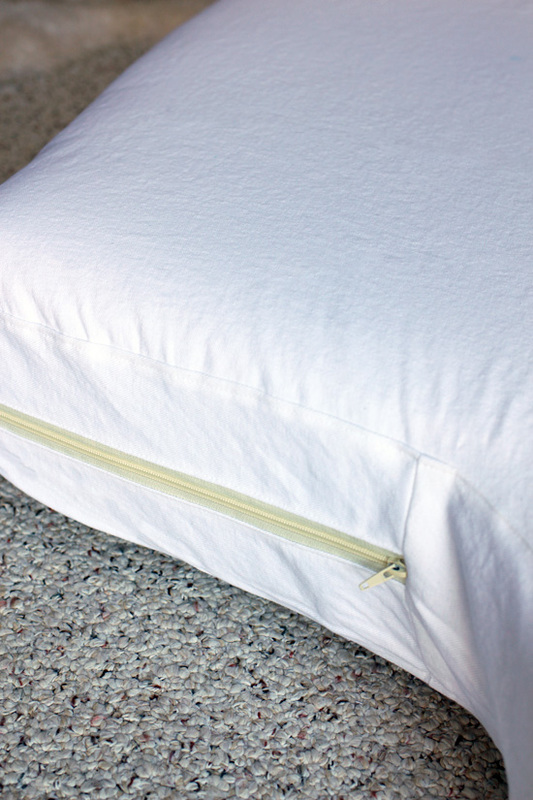 This makes all the seams lay nice and flat when you aren’t adding piping. 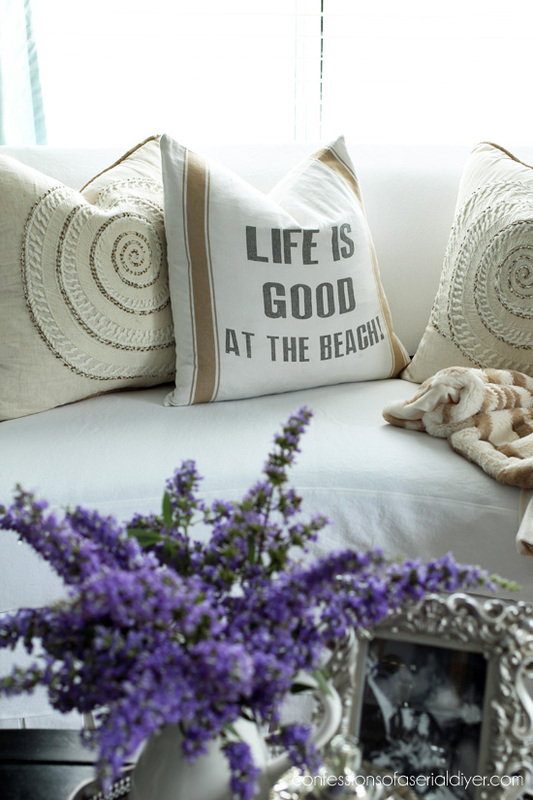 The pillows all came from HomeGoods. 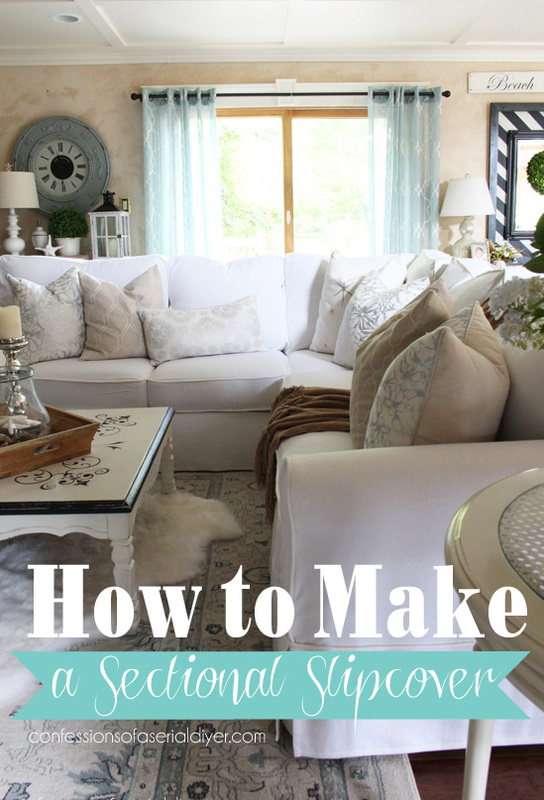 If you have a more traditional styled rolled-arm, see my sectional slipcover tutorial for how to tackle those HERE. The back is against a wall so I just let the fabric hang straight. I just love how cute this little sofa is now! 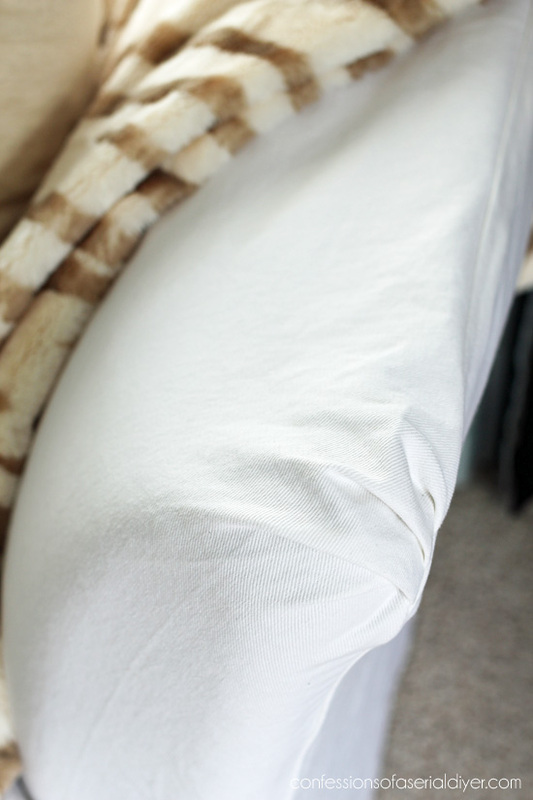 See my detailed Sectional Slipcover Tutorial HERE. 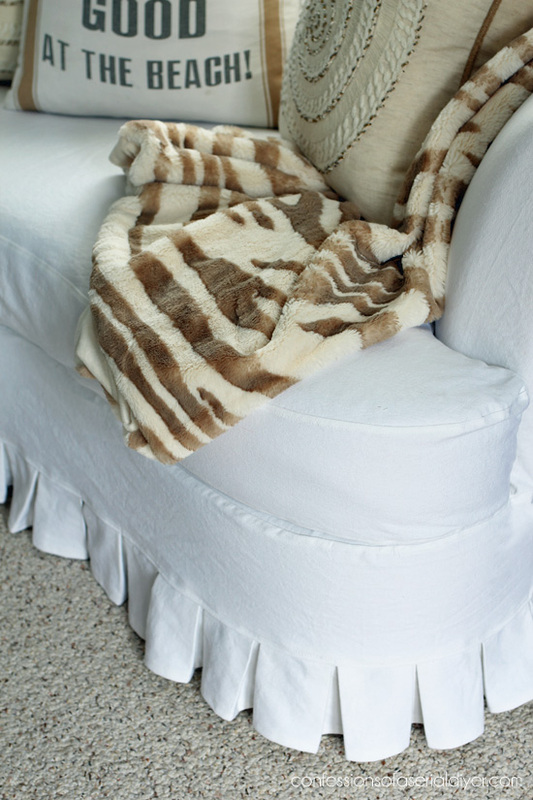 Check out my Armless Accent Chair slipcover HERE. 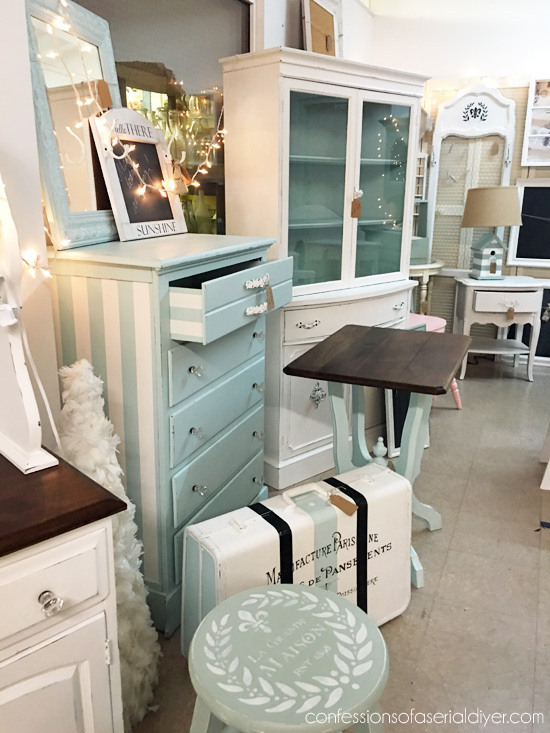 Want more furniture makeover inspiration? 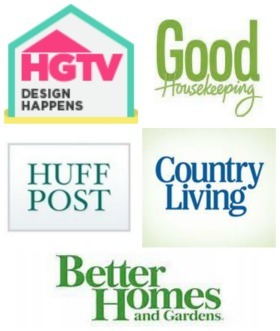 Visit all my Furniture Fixer Upper makeovers HERE. 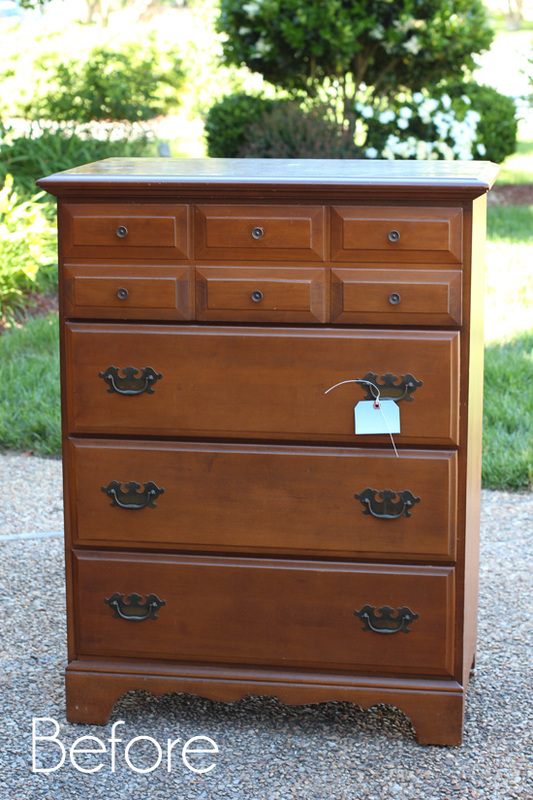 UPDATE: See how this dated dresser turned out HERE! WOW!! What a difference, it does fit your style now! 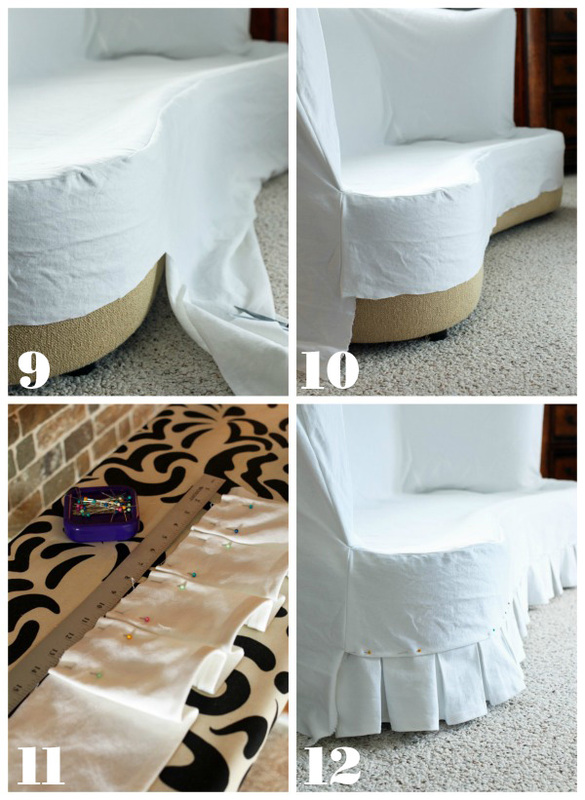 I do believe next winter I am going to attempt a slip cover for my club chair and ottoman. You make it look so easy. I better get my sewing machine tuned up! Thanks for another great tutorial!! It turned out so great! 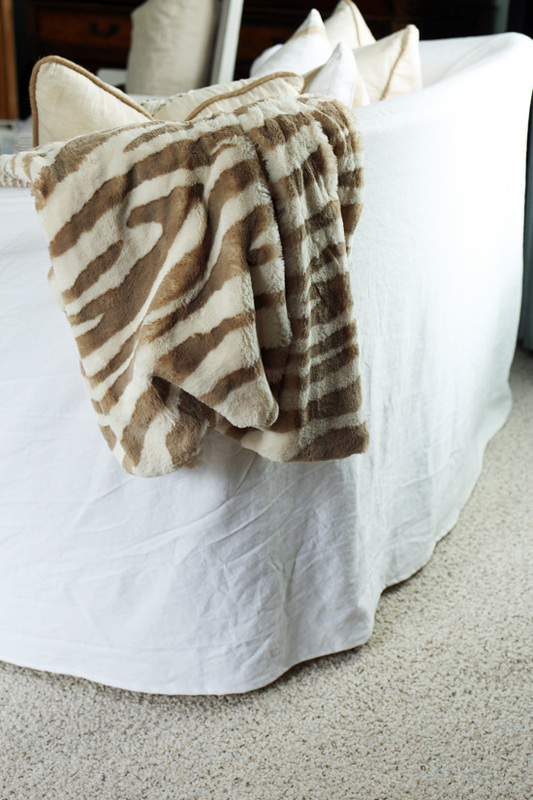 It’s amazing what a slipcover can do! I’ve been contemplating putting slips on two of our side chairs in the living room. I’ll be pinning this to help along the way. 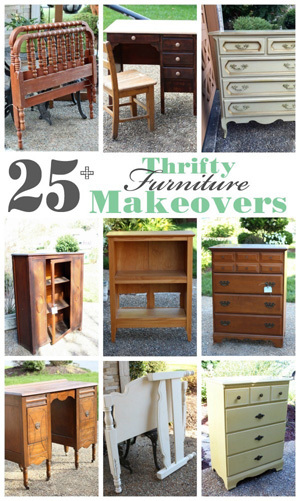 No doubt this is considered a furniture makeover. If it’s not, I don’t know what is. Love it. Is there nothing you can’t do? Love the shape of it and it looks right at home with your chairs. Love it. I am not a sewer at all. Two right arms so to speak. I will see if I can find someone who could do this. I love the pleats. What an absolutely GORGEOUS transformation, Christy. And, the tutorial is spot on. Bravo!! What a great transformation! I wish I had the nerve to slipcover. I bought 10 yards of fabric at a really good price and just keep looking at it! I have a recliner that I love except that the fabric is just worn out in some places. I have a “Surefit” slipcover on it now and that is acceptable but I bought the fabric so I should use it, right? I keep pretending that it is because I am trying to decide whether to slipcover or upholster but the truth is that I am just too chicken to try either one! OMG. What a Beautiful Make-Over and what a difference it made. Sofa does look comfy and what a comfortable place to sit and read a book. This came out Gorgeous! It went from the ugly duckling to the beautiful swan and I am totally in love with this sofa!!! Beautiful! Beautiful! Beautiful!!! Thanks so much, Amy!! I am in love with it now too ha ha! You did a professional job on your reupholstering! Lovely. 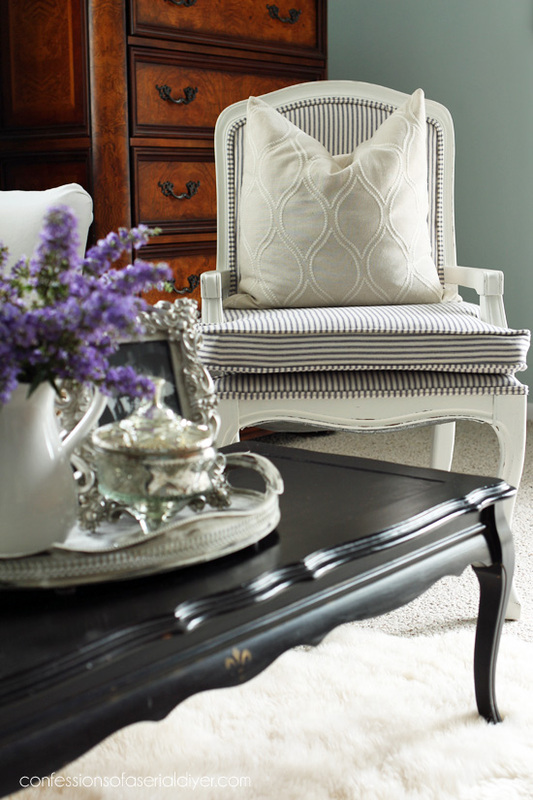 I also adore that chair with the ticking-stripe fabric! I could just move right into your home! Wow, quite a project and you did a great job. Did you ever consider painting/dying the sofa itself? As always I am amazed at your talent. You make it look so easy! I consider myself a halfway decent sewist, but my one attempt at making a slipcover is still lying in pieces. Maybe after seeing you whip one out (yet again!) I will give it another go. Wow! Beautiful beyond description…and far beyond my button sewing skills, unfortunately. I can bring dead plants back from the brink, cook a spectacular multi course dinner for a crowd, but my sewing machine just makes me shudder with dread. Yes, I have one – my Mom insisted on gifting me one when I married. It was like giving a Maserati to someone without a driver’s license. I even tried ‘practicing’ making a slipcover with Goodwill sheets. Nope. Wish you lived closer so I could ‘work a trade’ with you! This is more than a makeover. 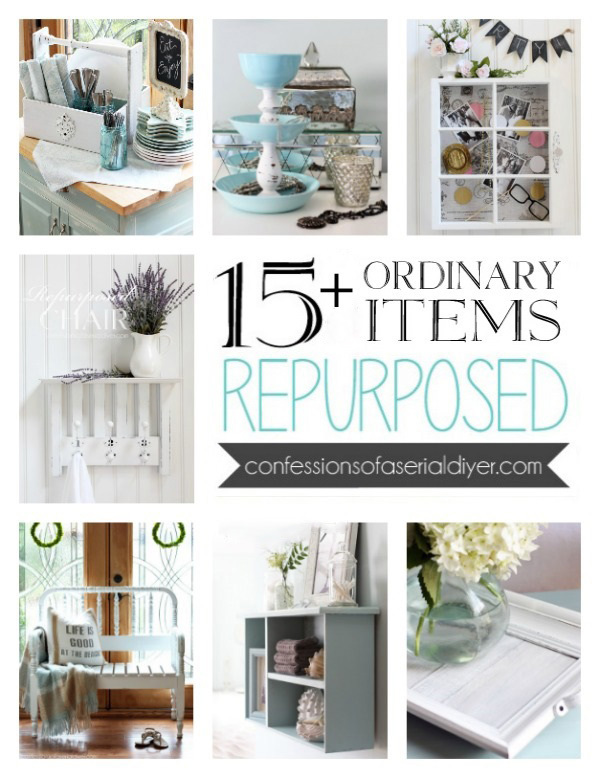 It seems like it would be harder to do than redoing some wood furniture items. You are amazing! Seem like you can do everything!! Christy, you are amazing! You’ve got to be daring to even think about tackling this kind of project. I have to laugh at it being “easy,” which it is to you, after your previous reupholstery jobs. But, I get it. Unfussy might be a more apt description. Still, all those curves and pieces! Simply wonderful to see it all come together. Wow! Well done. 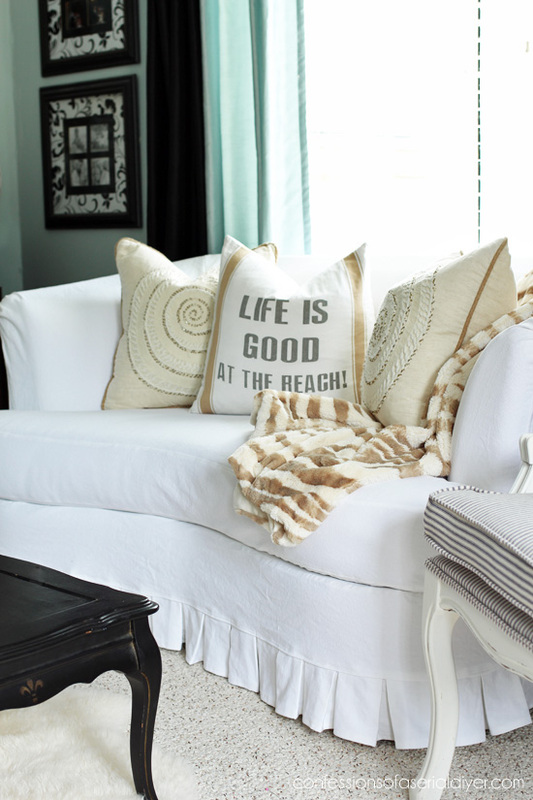 I love the size and the lines of the sofa, and I love it even more with your slipcover. I would definitely call it a makeover. Gosh Christy, you make it look so easy! While reading the tutorial I kept telling myself that I could do this…and then fear set in. One day I’m going to muster the courage to “study” your tutorials (I’ve pinned all of them for reference) and FINALLY sew a slipcover for an armchair that’s been waiting in the queue for years. 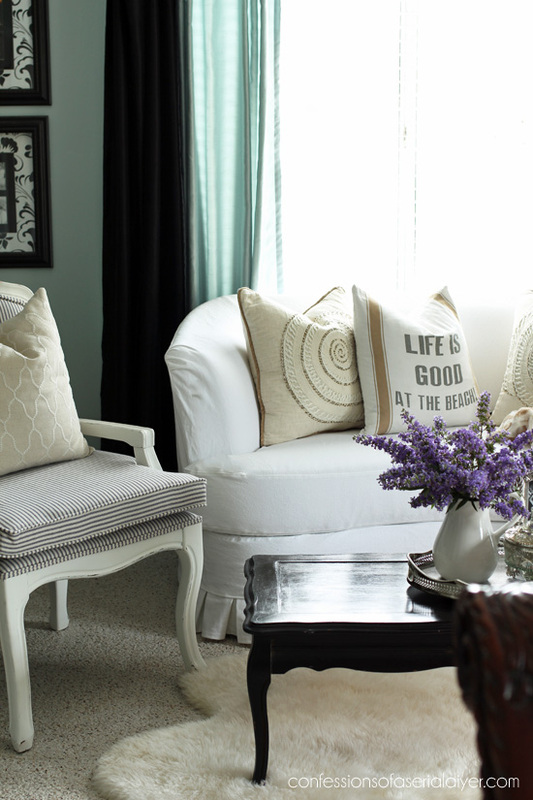 What a difference your slipcover made to this lovely curvy sofa – beautiful! Wow I am so impressed with your slipcovers. I have a couch and loveseat I’d love to do but DO NOT have the nerve/confidence to attempt that one. Good for you ! I really appreciate all your encouraging posts. Thank you for sharing with all of us. WOW!!! You are very talented and inspiring! You make that look so easy to do. I want to try it on something but a little terrified I will just end up wasting material. I will need to find a small piece of furniture to play with so there won’t be so much wastage if I fail miserably. :p Great tutorial! Thank you for the EXCELLANT tutorial! So helpful for covering a more unusual shape piece like this. It turned out beautifully and the ruffles totally changed the look of the piece. Looks great! A laborious task, but worth it. Personally I think the sofa actually looks comfier and more inviting with the slip cover than without! It gives it an elegant look and feel you wouldn’t otherwise see. You are so talented and continue to blow me away every time I see one of your latest projects. This is simply elegant and worth all the time and effort you put into it. Super job! Beautiful job! You have a gift, definitely. : ) The little pleats make this. Christy, I’m amazed at the things you take on. 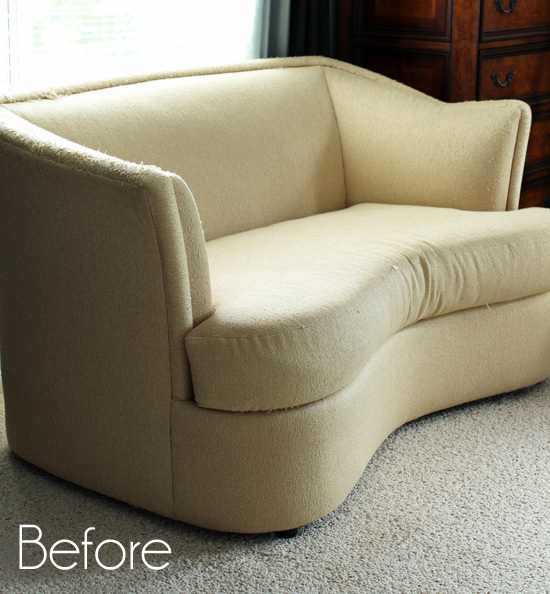 The slight curve in this lovely sofa added an extra challenge, but your results are astounding. Thank you for your never-ending inspiration. 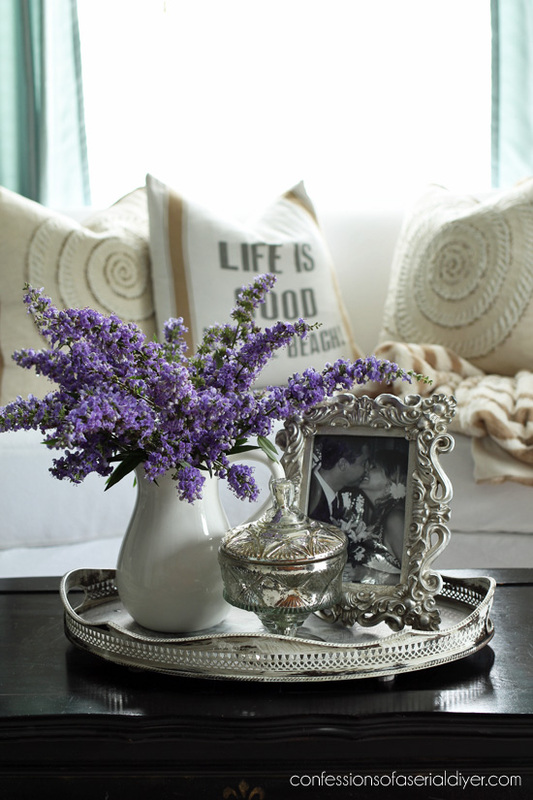 I would love to know…do you ever have a piece you have to set aside and tackle later? We LOVE your dining room set and started to give ours a similar treatment in January. The first coat of stain/varnish was a bad one—turned our table orange. We tried a dark Behr paint but have not been able to get the smooth top we wish. 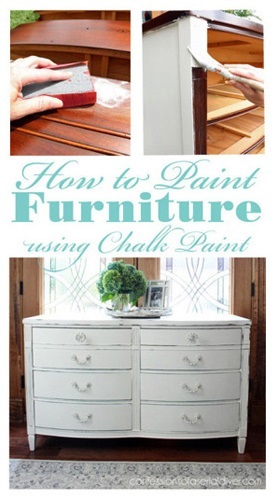 Fortunately the chairs and table base are beautifully chalk painted white like yours. We decided to stash the table in the garage and give it another go when we get a second wind. Has this ever happened to you? Any other ideas for getting a great finish on our table top? The wood is a very hard, tough pecan. Love you to pieces! Love the slipcover, especially the bottom edge. Of course I’ve pinned this for when I finally get my sewing machine out of the box it came in last year! Great job, the sofa cover turned out beautiful. I don’t know how you keep coming out with such cool posts! Can I ask, how many tries did it take you to complete this the first time? I’m nervous to try! Thanks, Anna! This was the first try…you can do it! That is so cute! It went from blah to amazing. Love, love the ruffle detail! Perfect. b Such patience and love you show to us all, who are “scaredy” to get started on transforming something from so-so into a thing of beauty! Thank you for proving to us that “A journey of a thousand miles begins with the first step”! I love this tutorial Christy! You’ve broken it down step by step and made it look so easy. 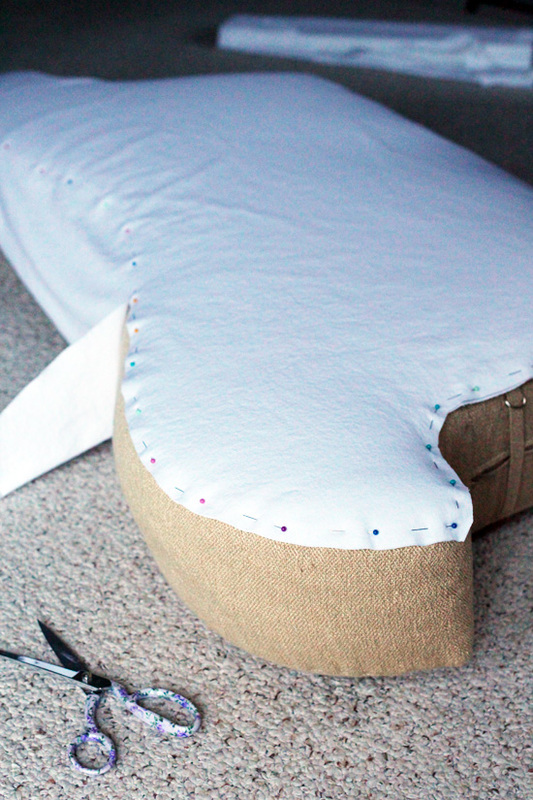 Sewing intimidates me but it makes me want to give it a try! Absolutely gorgeous makeover! That is amazing Christy! I wish I was as good of a sewer as you are. What kind of sewing machine do you have? Thanks! Is there nothing you can’t do? I’m so impressed with how straightforward this is I’m going to give it a go on my tired looking, but still comfortable sofa. Well done and thanks for the inspo!